Wow!!! The best first episode of this season! Trully impressive! 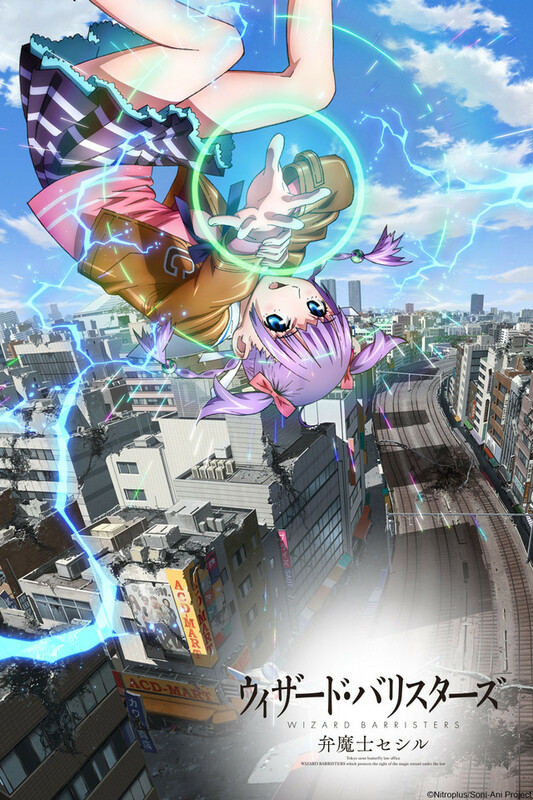 Having watched 14 first episodes of the new series of this Winter 14 season, i can say that Wizard Barristers has, by far, the most interesting and impressive first chapter. The story is intriguing and mixes investigation, judgments, awesome action and mechas (!!!). The characters are compelling and made me want to know more about them. Cecil is an AWESOME main character. Amazing character design, very cute (without being oversexualized) and with an interesting backgroud to be developed as the shows goes on. Now, i really have to talk about the visuals. Wow! WB is so damm impressive! Not even movies usually delievers that kind of quality of art and animation. The action sequences are super slick and fluid (the train sequence blew my mind), the background are a VERY, VERY realistic and beautiful portrait of Tokyo - Ameyokocho, Ueno Park and Senso-ji are just SPOT ON!!! - and the art direction is one of the best i´ve EVER saw! I´m not even a fan of Yasuomi Umetsu but it´s clear that he has a masterpiece in his hands if the series follow the quality delivered in this first episode. Trully impressive and entertaining stuff. Put on your queue lisr RIGHT NOW! A good start to a series! It is rare I give judgement on a show before I have watched the completed series, but this one I think shows promise for those into the genre of magica. This show definitely seems focused towards the mature audience. Those who watch with young family members, I would screen it first for sure. 2. It is a magica show, but right from the beginning, it is quite apparent that the creators made their own style instead of just following what already exists. It gives the feel of something that is a part of the person as apposed to an accessory. When you see the magic scenes, it is very apparent. 3. Characters. The main focus is clearly centered around the beautiful women. If I was to summarize, almost makes me think of a more traditional magical girl team if they got older and became professional lawyers. 4. Fan service, but keep reading to what I mean! Usually, I dislike fanservice/pretty girls show. I find them tasteless and a cheesy way of getting fans via un-natural human proportions. This show has the fan service, but so far, the fan service still keeps itself reserved. There was one moment that had some more played fan-service scene, but it was done in part to form a character. This is why a 4 out of 5 for this review. I see signs of being cheesy and not quite my style, but remove these points, and it is so far seeming to be the high quality show for this season's releases. If I was to choose a show that I feel it best compares to, I would have to go with Ghost in the Shell: SAC with more of a female focus. The title of this review pretty much says it... This anime is a strange amalgamation of X-men, Legally Blonde, Harry Potter, and magic girl what's her face. It follows a cute and perky warrior-mage-lawyer girl in her quest to obtain justice for members of a persecuted minority (and to explain why each of her clients leveled an entire city block). Watching the pilot, I was immediately impressed by the stunning artwork and very high production values. It's very rare for me to see this amount of detail, motion, and depth placed into scenes for TV anime. They did a particularly good job of capturing functionalist feel of the modern/nonmagical world and contrasting it with the bright, vibrant, organic, and somewhat unnecessary magical world. Coming from Studio Arms and directed by Yasuomi Umetsu, the character designs are stylistically similar to those in Kite and fit in very well. Wizard Barrister is not like Kite, which sadistically abuses its female lead. Rather than being about some perverse misuse of power, Wizard Barrister seems to be about the conflict between modern ideas about justice/human rights and the very real danger that a mage might take out a good chunk of the city, which happens a lot on the show. This setting is interesting and I'm waiting to see how the story will turn out. I rated this 3 out of 5 for two reasons. One being the animation was surprisingly brilliant. Two, being story which follows a bunch of wizards who are lawyers and defend other wizards from being condemned for their actions. Where it loses me is the main character, who looks more like a clown then a smart lawyer. Sure she is a 17 year old girl but with her backstory it seems she should have had a more serious personality. It has promise but based on what I seen so far, fan service will ruin what should have been a instant hit. The first two minutes drew me in like the debut episode of attack on titan but ultimately the rest didn't follow suit. Watched the first episode and saw nothing to recommend it. Main character was weird looking, and not in a good way. I simply could not take her seriously. The lecherous frog-thing was a random element I saw no point to (other than to add fan service), and the whole premise left me baffled. Fighting barristers that fought criminals as well as represented them? Contradiction of terms which made no sense. I like my anime to at least try a little bit to make sense. The animation was very nice, however, so I gave it 2 stars for that. So this seasons seem to be starting out with a bang of the magical sort. Any who this first episode was great it had me hook within the first 5 mins. Magic and bullets and trains o my. The animation is gorgeous the fight scenes a site to behold the cgi models while not perfectly in snyc with the animation are still fun to watch, Also I just think wizard lawyers are awesome. Also I love the fact that while the main leads all cute and colourful she is capable and strong as well as having an incredibly sad motivation for pursuing this career. All in all I can't wait for more. This is a story about wizards and magic. #no judgement on how the protagonist look. I will say, I wasn't too sure about the anime at first but glad I finished the episode. Cecil can pack a punch in battle, can't wait to see her defends the wizards in court.